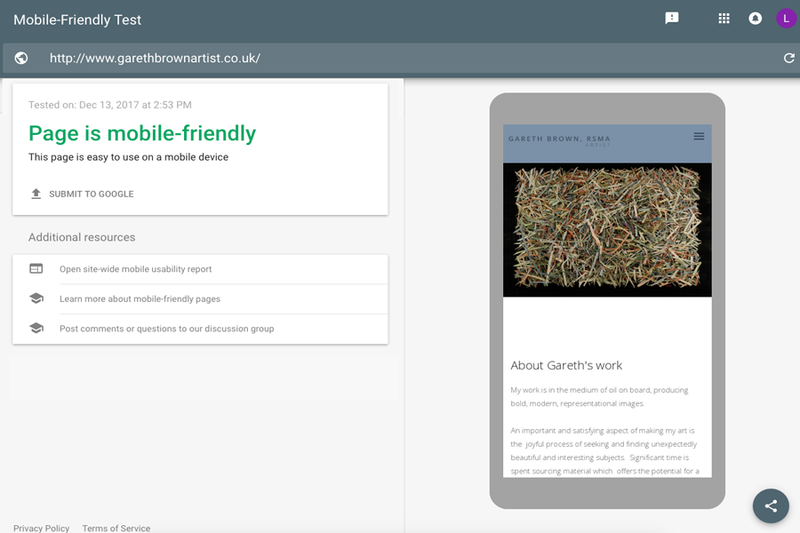 This week's website of the week goes to Gareth Brown - Artist. 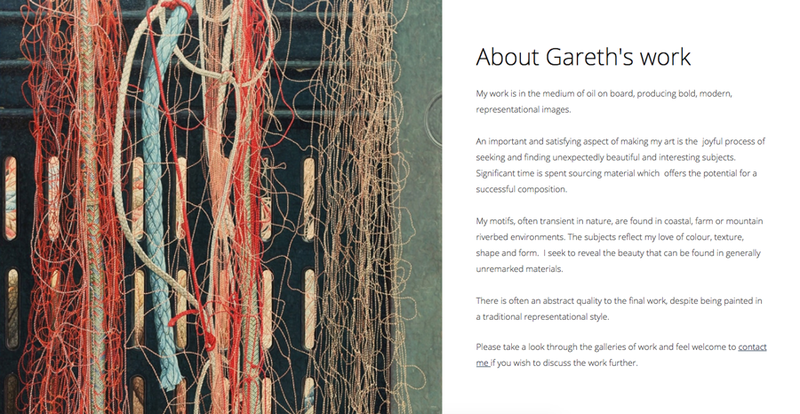 Gareth's work is in the medium of oil on board, producing bold, modern, representational images. The website features a light blue colour scheme, with neutral white colour blocks and very pale grey to compliment it. The website has hover over image boxes, a large header image slide show, social media icons and a partner logo accreditation panel. 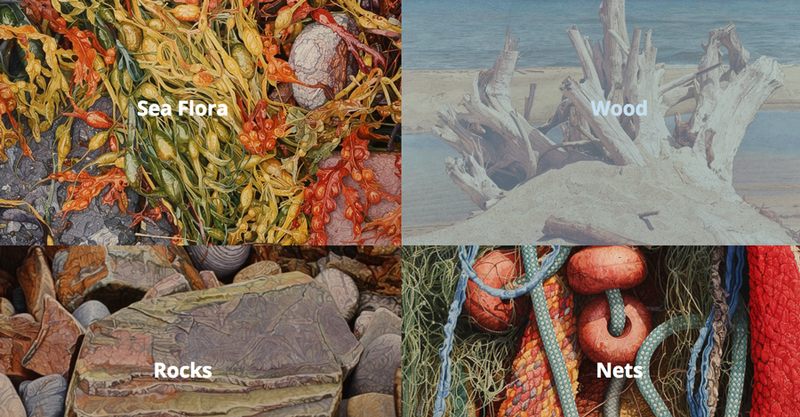 The website features the clients own imagery as it's his own photography shots and work. Each picture is representative of the clients work and methods. Did you know... we can help your photography website really stand out.